Pakistan has seen yet another deadly earthquake only a decade after the 8th October 2005 earthquake – one of the deadliest ever in the region. The 7.5 magnitude earthquake with the epicenter in north-eastern Afghanistan has left more than 250 people dead across Pakistan. A video footage taken from Eagle’s Nest in Duikar shows massive landslide and avalanche in the Hunza valley that triggered after the earthquake. According to the Gilgit-Baltistan government, 8 people have lost their lives while 29 others have been injured. The Karakoram Highway was blocked at 45 locations which have now been opened for all kinds of traffic. On 8th October 2005, an earthquake of magnitude 7.6 with an epicenter in Muzaffarabad had engulfed Azad Kashmir leaving over 80,000 dead, thousands injured and millions homeless. Imran Hunzai is a Digital Media Consultant and activist based in Islamabad, Pakistan. When free, he likes to travel, do photography and play Rabab. He also runs a HONY inspired blog called Humans of Hunza. Follow him of Twitter @ihunzai. At least four people have been killed in an avalanche in Khyber Pakhtunkhwa’s largest district of Chitral. According to Khursheed Alam, the Deputy Commissioner Chitral, four dead bodies have been recovered. The avalanche occurred at around 3:00 AM on Sunday in Gorin Gol, an area in Shishikoh union council of Drosh, Chitral. Abdul Wali Khan, the Assistant Commissioner Drosh, personally participated in the efforts for recoveries of bodies. Chitral Levies, local police, 1122 personnel, and community volunteers were engaged to recover the dead bodies. The rescue officials faced difficulties in transporting the injured to nearby hospitals due to blockage of roads. Pakistan Army had provided a helicopter for the rescue of the injured. Earlier, Rescue 1122 personnel and volunteers rushed to the Shishikoh after over a dozen people went missing following a snow avalanche. Drosh region of Chitral received heavy snowfall since last Tuesday. 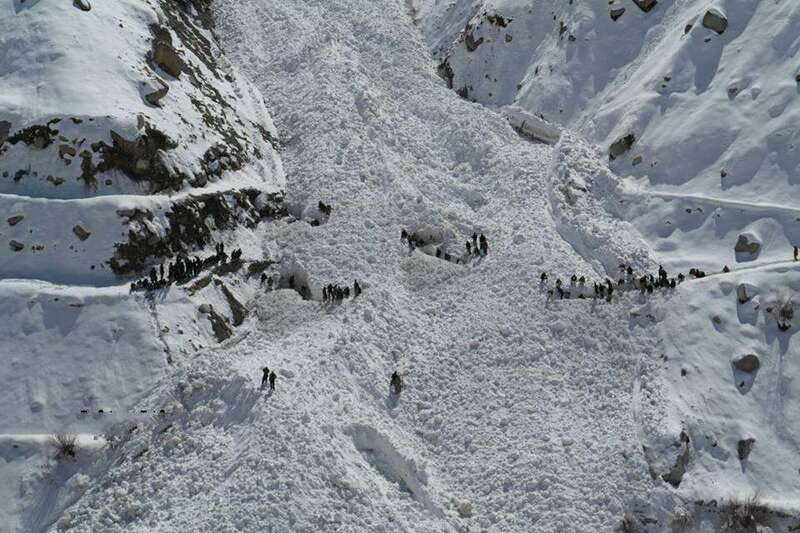 DC Chitral said in a press release that people were trapped beneath a thick mass of snow after the avalanche hit a village in Shishikoh’s Gorin Gol area. The avalanche hit eight homes at around 3:00 AM said Sheema Ayub Khan, a spokesperson for the Khyber Pakhtunkhwa Disaster Management Authority (KPDMA). She added that three people have been rescued from the snow while at least three more were still trapped. At least 10 people have been safely evacuated who were trapped under the avalanche. The dead have been recognized as Momin s/o Khaista Khan, Amirzada s/o Khaista Khan, Saad Malook s/o Bahadur and Usman s/o Gul Mohammad. The Aga Khan Agency for Habitat (AKAH), an agency of the Aga Khan Development Network (AKDN), collaborated with the United Kingdom International Search and Rescue (UKISAR) and the Punjab Emergency Service to organize a certification course for its Search and Rescue Teams (SARTs) in Lahore. The training, which was attended by 26 SART members, including men and women, aimed to develop skills for urban search and rescue, water rescue and powered rescue boat. AKAH has led the development and capacity building of regional SARTs for over two decades. Recognizing the gender sensitivities in disaster response, nearly 35% of the SARTs’ members are women. Trained in light to medium search and rescue techniques according to the International Search and Rescue Response Guidelines (INSARAG), SARTs have actively responded in several national level disasters including: the Astore Earthquake in 2002, the Kashmir Earthquake in 2005, the building collapse in Lyari, Karachi in 2009, and the Attabad Landslide in 2010. “The severe impacts of climate change and the increasing frequency of disasters in Pakistan call for improved capacities of the communities to cope against such disasters. Participation of SARTs in such courses is an essential way to equip their knowledge and skills for quality disaster response”. While addressing the participants Dr. Rizwan Naseer, (Sitara-e-Imtiaz) Founder Director General of Punjab Emergency Services appreciated the efforts of Aga Khan Development Network (AKDN) for introducing the emergency management services in the country. He particularly appreciated the work of the Aga Khan Agency for Habitat (AKAH) in Community Based Disaster Risk Management (CBDRM) in the country. Dr. Rizwan hopes that a long-term partnership with AKDN would further benefit the emergency service in the country particularly in reaching those at risk of disasters. The seven days long training session would enable the participant to inculcate search and rescue skills as well as would be also assessed as a certified trainer by the trainers from Punjab Emergency Service Academy Lahore and Mr. Peter from AKAH Global.